Apple’s products aren’t perfect. Kirk McElhearn points out what needs to be fixed. Apple’s Notes app is quite useful. You can store notes on your Macs and iOS devices, and they sync via iCloud. You can add and view attachments, and you can even lock individual notes in the latest versions of Apple’s operating systems to protect them from prying eyes. But I won’t use Notes. Apple made a bewildering design decision: They don’t allow users to choose a default font and size in the OS X version of the app. On iOS, the Notes app inherits the overall font settings you choose; if you choose to increase the size of the system font, in Settings > Display & Brightness > Text Size, then the font in Notes gets bigger, as it does in apps such as Mail, Reminders, and others. (Not all apps support this Dynamic Type setting.) But there is no such system font size option on OS X. So all notes start out in a tiny (to me) font. 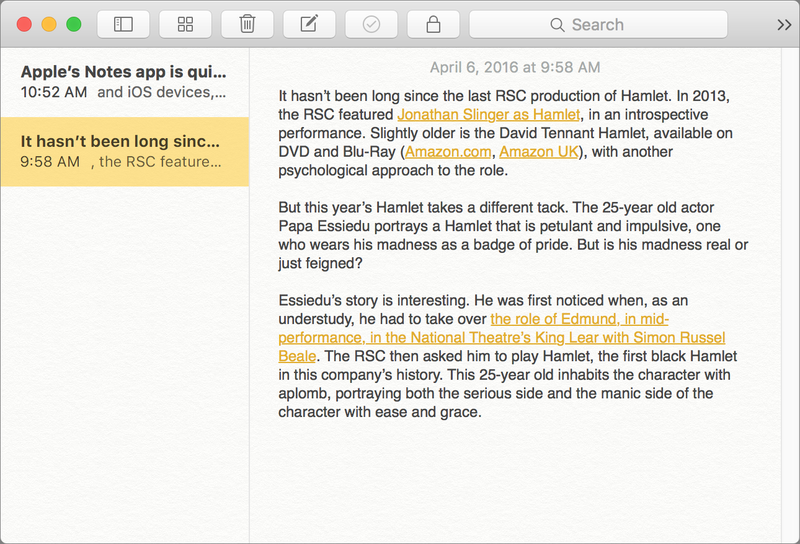 You can change the font size of individual notes, either before you start typing, or after selecting their text. Go to Format > Font > Show Fonts, and then choose a size from the font picker, or press Command-+ several times until the font is big enough. (Each time you press that keyboard shortcut, the font size increases by one point.) Rather than offer a default font size, Apple assumes that everyone uses a tiny font. But they also don’t let you choose a default font. Not everyone wants to use Helvetica; personally, I prefer a monospace font, such as Consolas, and I generally set it to 18 points. My vision isn’t terrible, but I do wear glasses, and I’d rather have a font that’s readable than squint. Some people find a 12-point font to be just right; for many users, it’s too small. Not only is the font size a problem, but if you use hyperlinks in your notes, their pale baby-chick yellow color contrasts poorly against the white background. If you already need to squint to read the small black text, reading links is even harder. Yellow links don’t contrast well against the white background of the Notes app. 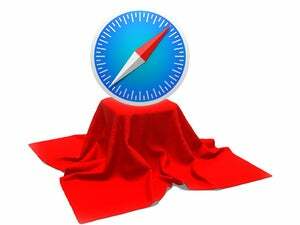 Apple has made great strides as far as accessibility is concerned, both on the desktop and on iOS. There are all sorts of options for those with limitations to their vision, hearing, mobility, and more. Yet this all gets forgotten in certain apps, such as Notes, which looks like it was designed by a different company. 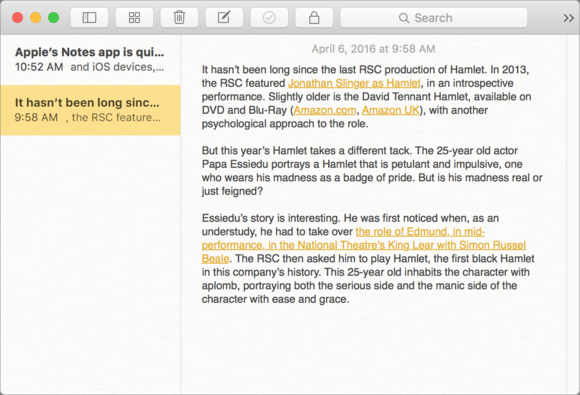 Apple’s Notes app isn’t the only player in the note-taking field, not by a longshot. 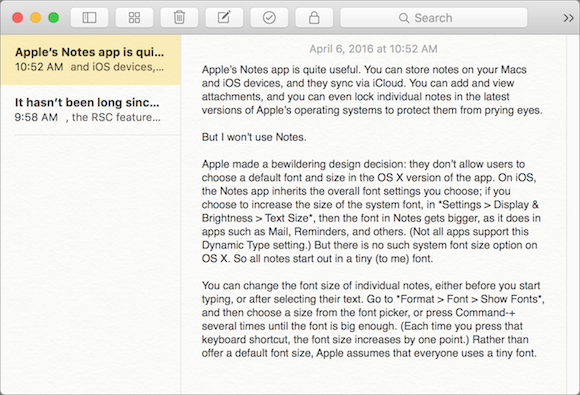 Evernote’s OS X app lets you choose a default font and size for new notes, and also offers much simpler formatting options for existing notes. Microsoft OneNote also offers a default font and size setting, though its Byzantine formatting options can be just as frustrating as having no options at all. To be fair, the current Notes app is a bit of an improvement. Remember the skeuomorphic yellow-pad interface with the cringeworthy Marker Felt font? At least you could change the default font in that version (there were three choices: Noteworthy, Marker Felt, and Helvetica). Apple, you’re on the right track, but please help those whose vision isn’t as good as your developers use the Notes app on OS X. Do you have any pet peeves that you think Apple needs to fix? Send your ideas to fixthis@macworld.com.